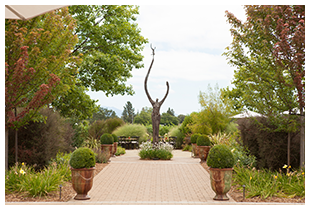 As a pioneering producer and winegrower of Pinot Noir, Chardonnay and Zinfandel in Sonoma’s Russian River Valley, DeLoach Vineyards has been experimenting with and perfecting the best combinations of soil, rootstock and clones for over three decades. In 2003, the Boisset family brought two generations of sustainable winemaking experience from Burgundy, France to California’s Russian River Valley and pulled up the estate vineyards that had just produced Wine Enthusiast magazine’s 2004 wine of the year: DeLoach Vineyards’ 30th Anniversary Cuvée Pinot Noir. The award-winning vineyards were replanted with cover crops in order to revitalize the soil and in the meantime, DeLoach partnered with winegrowers equally dedicated to and passionate about eco-friendly farming practices and the production of high-quality wines. Wine & Spirits magazine named DeLoach Vineyards a Top 100 Winery for the twelfth time in the winery’s history in 2012. 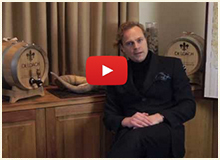 A brief introduction to DeLoach Vineyards from Jean-Charles Boisset.